I always make my husband and children treats for Valentine’s Day. Today I made them cookies and brownies. I had a broken brownie. I guess you could say it was breakfast. They were the low fat low ones at least. My husband and I went to Cracker Barrel for dinner. We invited the children but they weren’t interested in going lol. I made them a pizza. That is what they wanted. I did really good ordering. 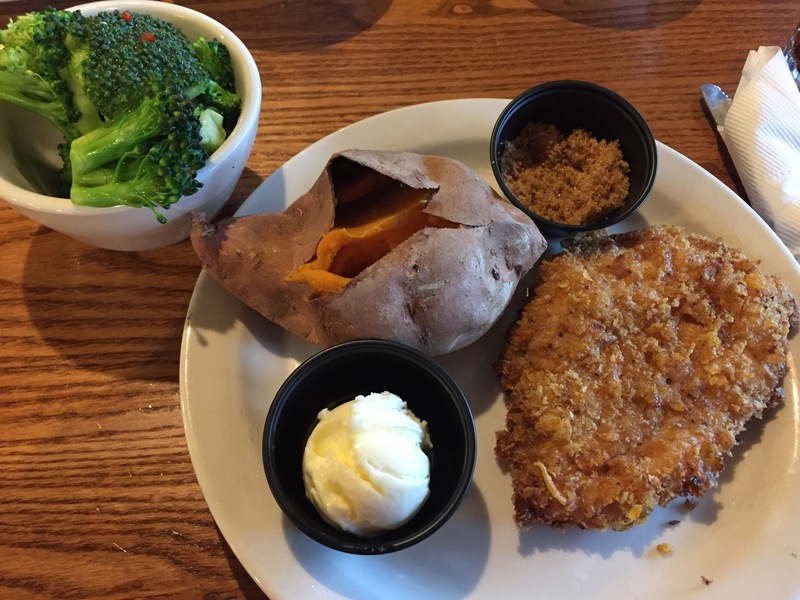 I had the oven crusted chicken with broccoli and baked sweet potato. 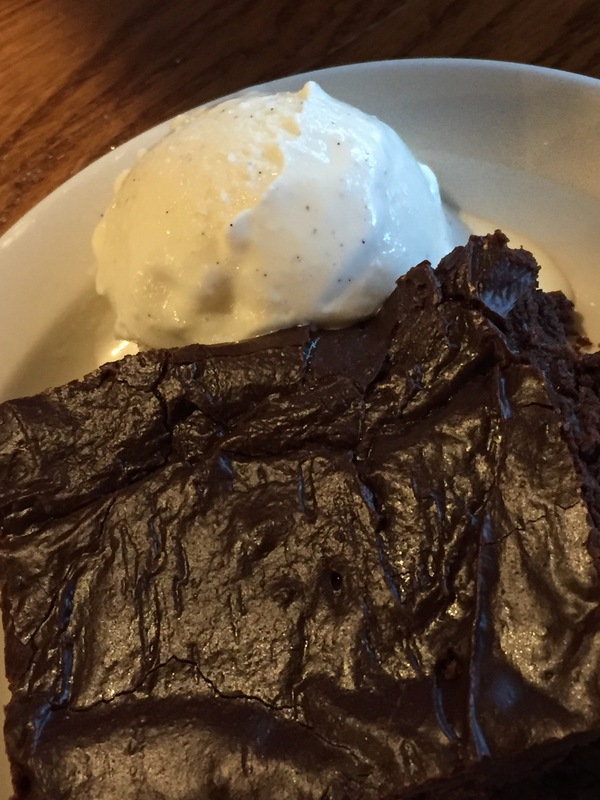 (blog photo ) It was only 520 calories and delicious. The most amazing cake ever. Chocolate Coke A Cola cake with a scoop of ice cream. I didn’t eat it all! My husband and I shared it. The calories for 1/2 of this 392. So I came home and was feeling pretty good. Then I looked at my Fitbit and I had only a 1/4 of my steps in. I did what I had to do. Walk, walk, and walk. I also did a mile on my elliptical. Took me 13mins and 15 secs to get in a mile. I now have over 13,000 steps in with 101 active minutes! I think I survived Valentine’s Day. Now, I just got to get through my oldest birthday dinner Saturday.